Ok, so this post will probably be outdated in a week because of how quick this area is evolving, but I want to get a thought-starter out there. 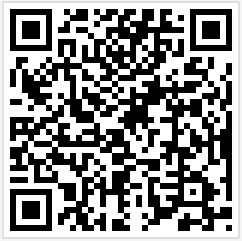 Here's my question: "how can QR codes be used in qual market research?" Location based research (brick & mortar clients) - potential respondents can scan the code for a survey or to be invited to an online study. The act of scanning the code would verify that the respondent was in that location. Every time a respondent completes a behavior they could scan the code and answer the probes, a build on mobile research. Digital scavenger hunt for local research. Respondents have to scan at specified locations and answer questions. Invitation to participate in the research community issued with print copy. Ok, I'm sure there are a ton more uses AND there are lots of barriers to doing the above...but worth asking the question, "how can QR codes be used in qual market research?" What have you been playing around with? I'd love to hear.